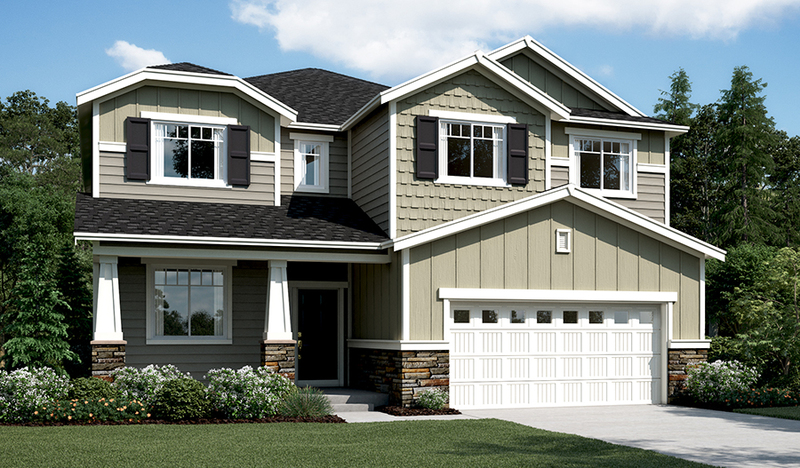 Front-yard landscaping and a covered porch give this new home abundant curb appeal. The main floor boasts airy 9' ceilings, a spacious great room with an inviting fireplace and a gourmet kitchen with an extended island, walk-in pantry and adjacent sunroom. You'll also appreciate a private study with two large windows. Upstairs, enjoy a convenient laundry, a versatile loft, a luxurious master suite featuring a roomy walk-in closet and deluxe bath with separate shower and soaking tub, and three additional bedrooms. A finished walk-out basement completes the home.